The never-ending gym cardio debate: should I use a treadmill or elliptical to get the most out of my workout? An elliptical workout differs from a treadmill workout in a few ways. Both will give you an aerobic workout but an elliptical trainer will work different muscle groups than a treadmill. While both are excellent choices, they do have distinct differences. By knowing the difference, you can decide if an elliptical workout, the treadmill workout or even a combination of both works best for you. When comparing an elliptical workout to a treadmill workout the first thing you will notice is the elliptical trainer has much less impact. This low impact is especially good for people with joint, knee, lower back, neck or hip problems. An elliptical workout also works the upper and lower body simultaneously which makes your heart rate climb faster than with a treadmill workout. The elliptical trainer works your legs, back, shoulders, chest and your arms making it a total body workout. Another great feature of an elliptical workout is you can add variety by pedaling backwards. This backward pedaling motion targets your lower body quadriceps muscles. The elliptical isn't as natural of a movement as walking (con), but it is very low impact on the joints (pro). A treadmill workout can also give you an excellent aerobic workout and a lot of people still prefer it to an elliptical workout. If you prefer to run, jog or walk to exercise it's obviously a smarter choice. If you are just beginning to workout or just don't want a total body workout a treadmill workout might be perfect. Most treadmills offer a different intensity level that you can increase as you get more fit. A treadmill workout provides a different variety over an elliptical workout by allowing you to run, jog or walk on an incline. While it is a less intense workout, it is a great way to burn fat while promoting good cardiovascular health. Even though treadmills remain the number one piece of fitness equipment sold today, elliptical trainers are quickly becoming very popular. With more and more health clubs adding more elliptical trainer machines, more people will try elliptical workouts. Both elliptical workouts and treadmill workouts will build bone density, burn fat, promote good cardiovascular health and increase your energy level. When it comes down to it, I usually use a mix of both in my own cardiovascular workouts and those of my clients. Variety is important so doing a little of each, and maybe throwing in some bike / stairclimber / row machine for even more variation. The important thing is to workout on a regular basis whether it's at home or in a gym. 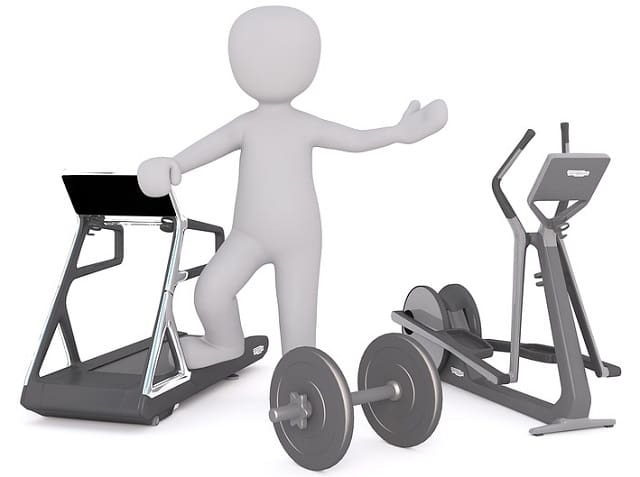 If you are looking to purchase a treadmill or an elliptical trainer, the bottom line is, you usually get what you pay for. There are great values especially online but it just makes sense to get quality equipment that will last. Whether you prefer a treadmill workout or an elliptical workout choose the one that you feel is right for you. That way you will work out more, lose more weight and be much healthier. I hope you enjoyed this article about how to determine which cardio modality will be most effective for your workouts on a frugal budget. Interested in more articles about cardiovascular training?